FIRST Advisers is a specialist consultancy offering an integrated suite of professional services in investor relations, corporate communications, shareholder analytics and governance. For the past decade our team has been providing advice and support to Australian and New Zealand companies on how best to structure market sensitive announcements and deliver complex information to a wide range of stakeholders in the financial markets, media and wider investment community. Five specialist teams, working as one, delivering the edge that can make all the difference. engaging effectively with the media. in print and digital media. 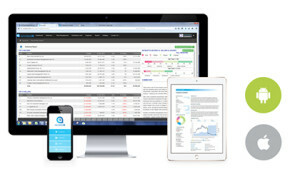 AccessIR is a purpose built CRM platform for Investor Relations professionals. Designed and owned by FIRST Advisers, AccessIR uses cutting edge technology to bring investors to your fingertips. You can monitor shareholders, identify target investors and interact with the investment community, using AccessIR to execute on your perfect IR strategy. For those that recognise the importance of relationships in investor relations, we present to you AccessIR. Discover how AccessIR can serve your needs, register for a free demo.